This is probably my most requested blog post in a long time!!!! 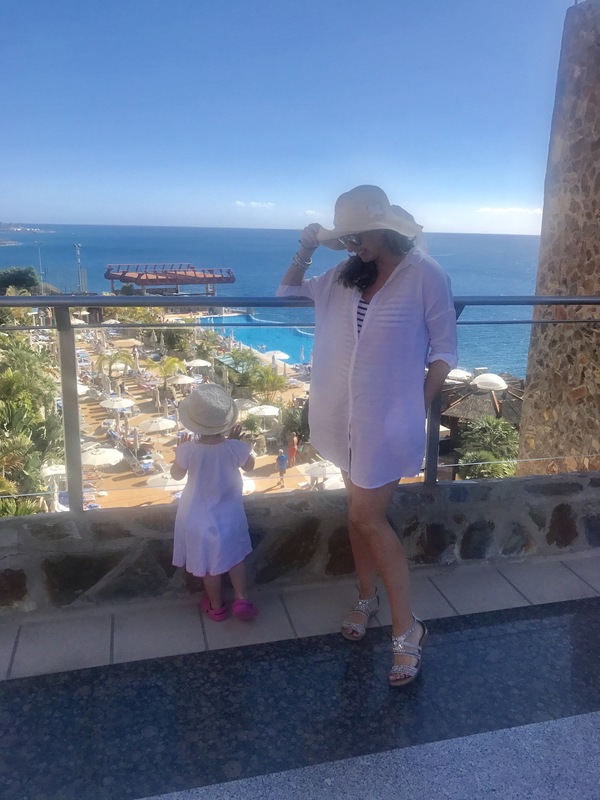 🙂 After Christmas we headed abroad on holiday to Gloria Palace Amadores in Gran Canaria. 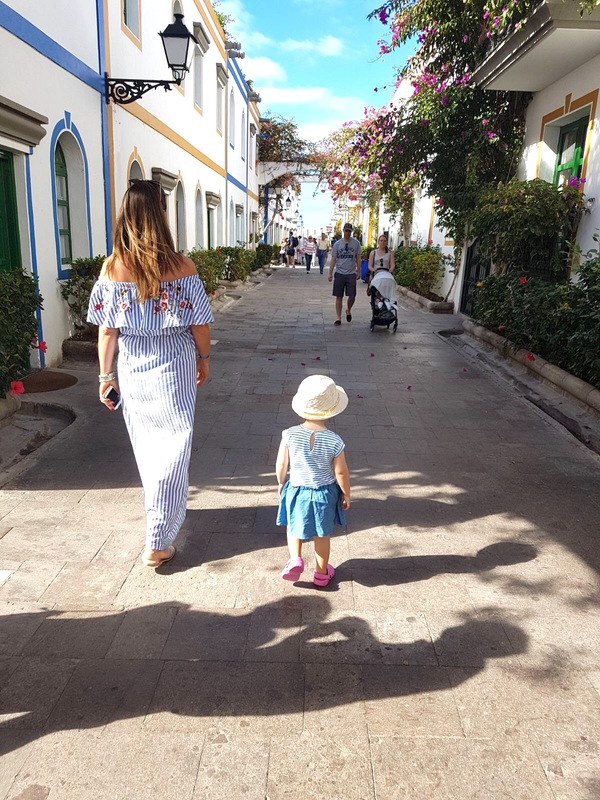 During the holiday and afterwards I have been inundated with emails, snaps and messages asking where I was, would I recommend it, was it family friendly etc. 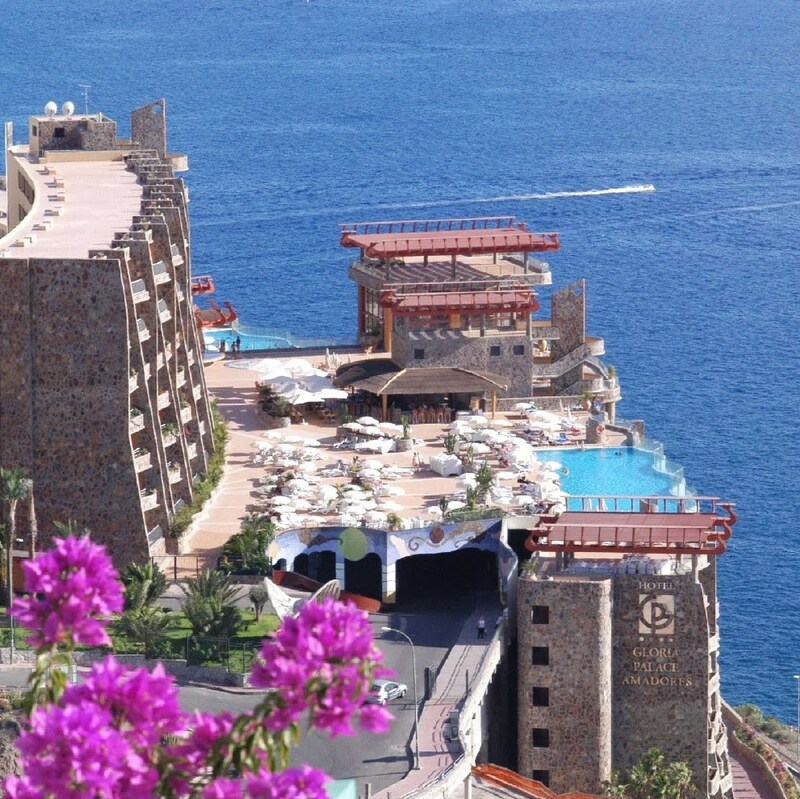 So here goes…..
As some background, this hotel has massive sentimental value to me, I am very attached to Gloria Palace Amadores because I have been going there since I was maybe 10 or 11 years old, every year, same week with my family. 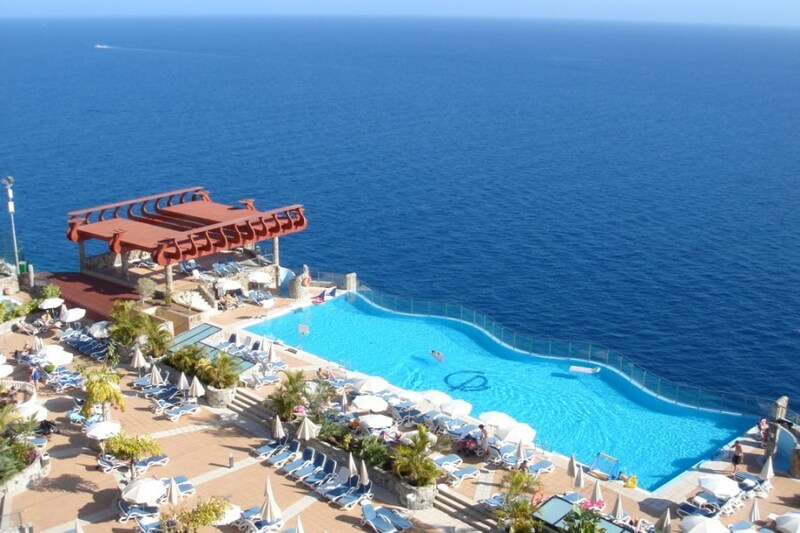 We love going to Gran Canaria in January as you are guaranteed the sunshine! Not scorching heat, but it is normally around 25 or 26 degrees, every year without fail, we always have good weather in January. Gran Canaria as an island varies massively in temperatures, for example Amadores, Mogan and Puerto Rico will be significantly hotter than the likes of San Agustin (in Winter) so be careful with that. We always book the hotel directly and then the flights separately. Both Ryanair and Aer Lingus fly direct to Las Palmas Airport, the flight time is approx 4 and a half hours. 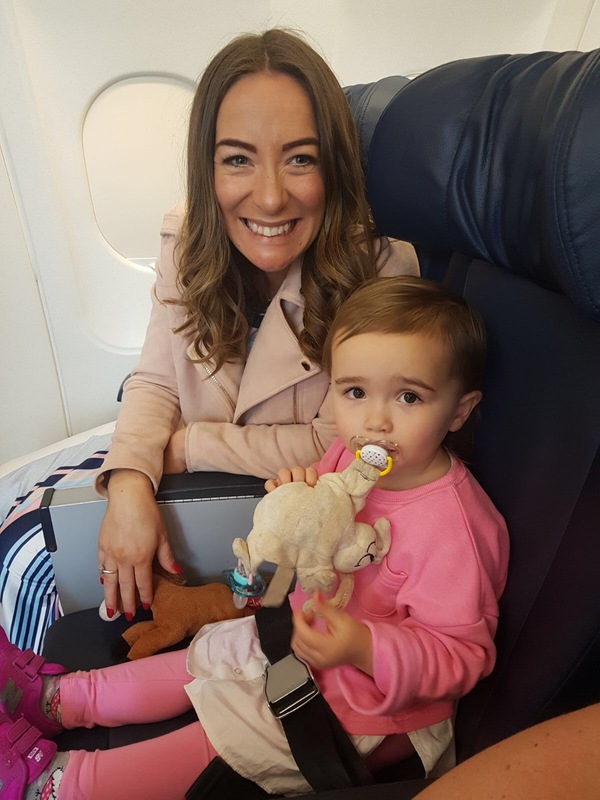 Flight times are tricky, the way out is always great but the way home it is a late night time flight so not ideal for babies and kids, but we survived! If it’s suitable for you, it is always worth checking flights from Belfast to Las Palmas, often cheaper and better times. On arrival we had booked car (and a car seat) and a driver was waiting at the airport to pick us up, it was fantastic and takes away any hassle of getting to and from the hotel. The drive from airport to hotel is approx 40 minutes. 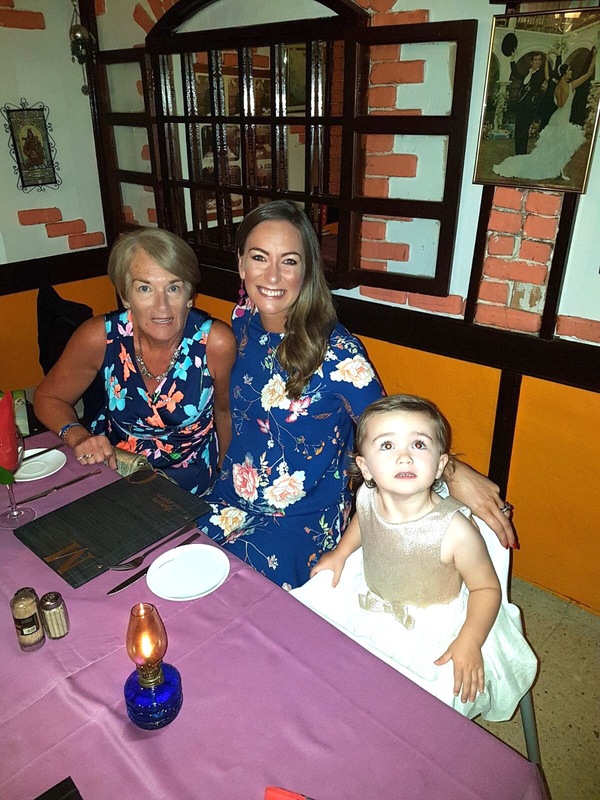 The hotel is very family friendly, any time we have been there is always packed with families. There is one main baby pool, along with a kids club, a small playground and for older kids there is tennis courts. 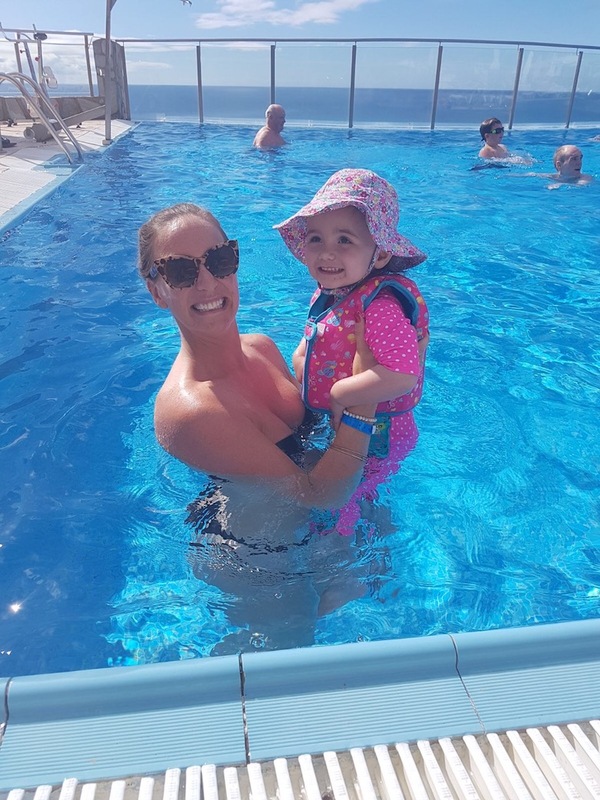 There is a jam packed schedule every day of activities, if you or older kids want to get involved….From aqua aerobics, to spinning to bingo to tennis to bowls to cocktail making. 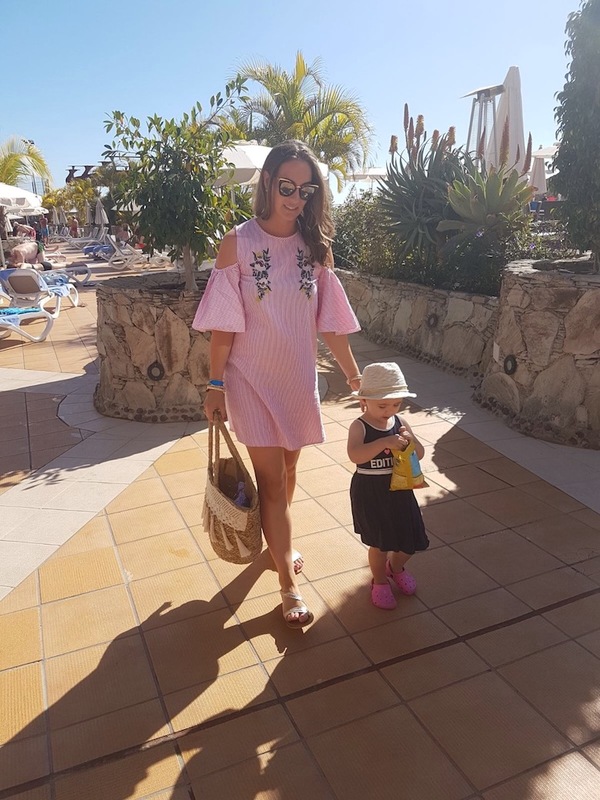 The kids club is small but good, Anabelle Ivy is only 2 so she didn’t go in alone any time, but I imagine for children from 3 or 4 years upwards it is great as there is always staff there to draw and do activities with the kids. They have a little itinerary every day. Relaxing next to the kids pool! 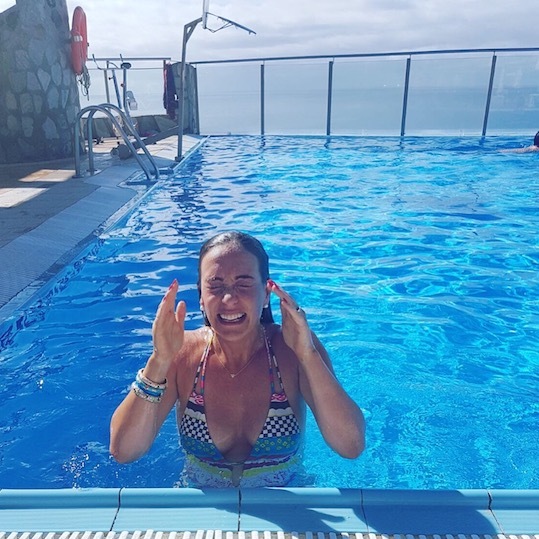 For adults there is a fabulous big infinity pool, (beside the outdoor bar), and also a second pool on a totally different level where there are less kids (and noise)… Suffice to say I wasn’t up there at all!! Every night there is a kids disco at 7.30pm followed then by a movie, the disco was the highlight of Anabelle’s night ! Each night there is also a show for the adults; some are really awful, some are entertaining! Most nights we were in bed by time the show started as Anabelle was always exhausted by 9pm/ 9.30pm every night. The rooms in general in Gloria Palace are very big and spacious. My mum and dad were with us this year also and they were staying in a standard room, it was huge; really fab. This year and last year we stayed in one of the family suites and it really gorgeous, So spacious, double balcony, insane views, really beautiful and ideal for us as it was two interconnecting rooms. Always request a sea view room or a pool side room as the views are what make Gloria Palace. The most breath taking views I’ve seen. 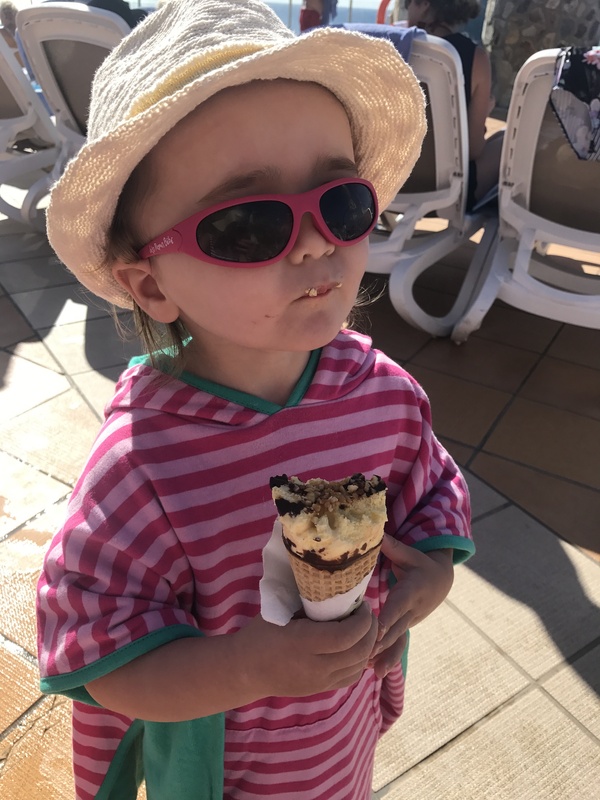 We went all inclusive and I feel it is worthwhile, especially with kids. And also if you and your partner drink alcohol, if you are not on all inclusive the price of drinks at the hotel are very dear so for drinks alone the all inclusive is worth it 😉 Not that I was drinking this time around, but we still like to go all inclusive. The food is buffet style! The first day you will pig out and honestly by the end I was sick of the sight of it!!! LOL. I love their breakfasts; so much gorgeous variety; tonnes of pastries, any kind of eggs you want, breads, juices, smoothies, fruit and lots of cereals. Lunch again great variety; soup, salads (huge salad selection), meat, fish, pasta, pizza. I struggled sometimes to get appropriate food for Anabelle at lunch time though; but she is a very very fussy eater, mostly she ate the rice or soup and occasionally pizza. Oh and chips, there is always chips!! Dinner is varied with good selection and choice, I think though with any buffet, after a week of it you would be sick of it. Each night there was a country themed night so one area would have foods of that country; so Mexican night, Italian night and so on…. Otherwise dinner was meat options (usually 3 or 4 options), fish options, pasta, salads, rice. soups and massive dessert selection! Although we were all inclusive we still went out for dinner around 4 times; Puerto Rico is within walking distance and you can take the panoramic lift to the pedestrian walk was (along the cliff edge) to puerto Rico, it takes maybe 5 minutes and there is a strip of restaurants there; the absolute BEST one in my opinion is: La Cantina. Amadores beach is within waking distance, again take the hotels panoramic lift to the cliff edge where there is a pedestrian walkway along the cliff, this brings you down to the beach. Definitely worth a visit! 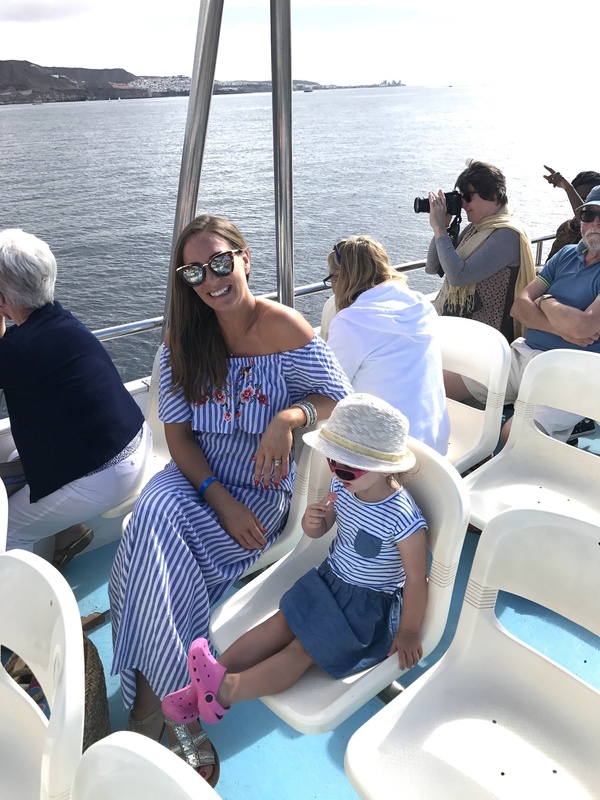 A day trip to Mogan is also a great idea, we took the boat. Mogan is a really stunning town. There is a magnificent spa in the hotel, it really is WOW! 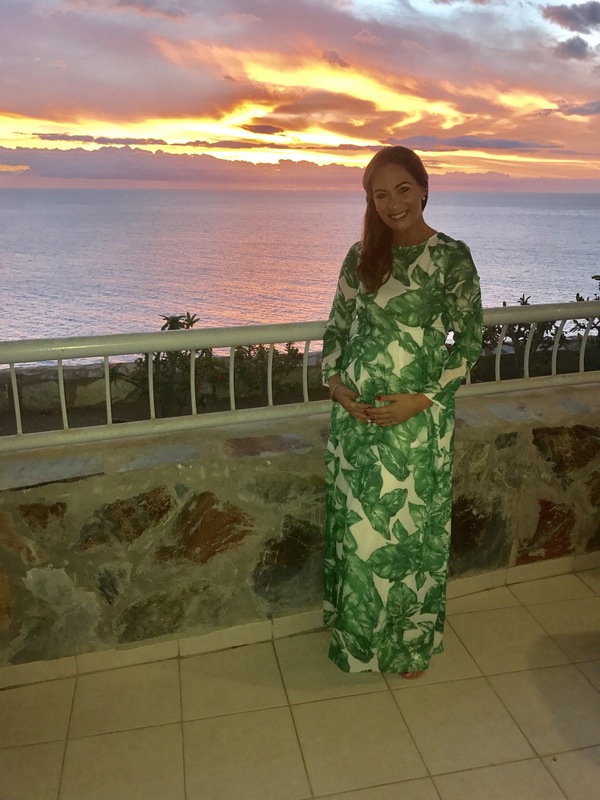 Unfortunately because I am pregnant I wasn’t able to avail of it this time but I have been many times in the past few years and it’s really gorgeous. It’s called a Thalasso, which means the entire spa uses sea water; there is a massive sea water pool with dozens of jets, a sauna, steam room, jacuzzi etc, plus a stunning area to relax/ chill out after using the facilities. Plus there are the usual spa facilities available; massages, beauty treatments and so on. 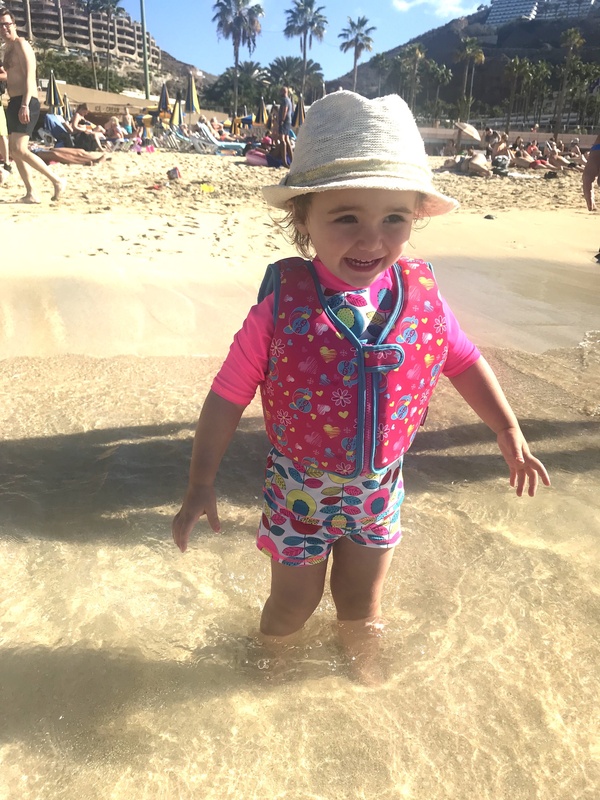 I’ve written a couple fo blog posts over the last year or two about travelling abroad with Annabelle, you can have a read in the travel section of my blog HERE.